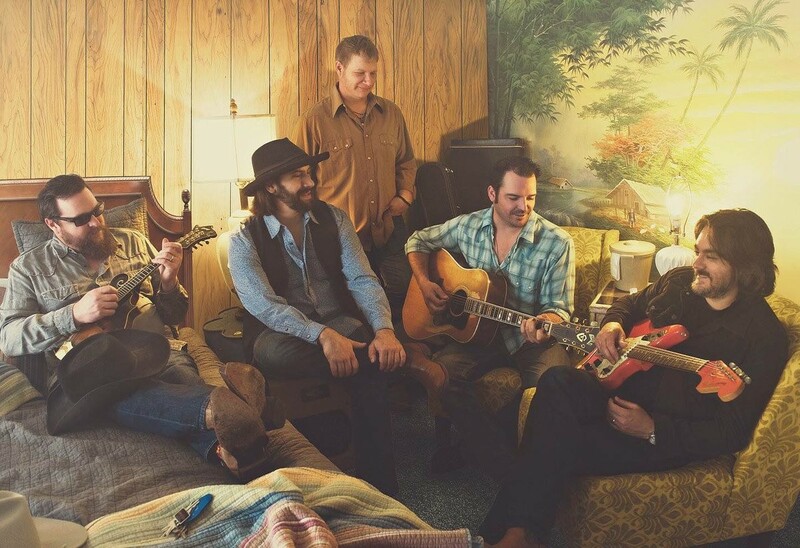 Reckless Kelly, an alternative country rock outfit from Austin, Texas, is no stranger to Bend. Brothers Cody and Willy Braun met their drummer at an open mic night at Pasha's Lebanese Restaurant in downtown Bend in the mid ‘90s, where they began playing as the first iteration of the band, The Prairie Mutts. In October of '96, the Prairie Mutts broke up and the Braun brothers, along with their drummer Jay Nazz, moved to Austin to start anew as Reckless Kelly. Ahead of Reckless Kelly’s show at the Tower Theatre on Tuesday, July 31, the Source Weekly interviewed the Braun brothers about growing up touring in a family band and how their sound has evolved from the band’s early years in Bend. Source Weekly: Reckless Kelly is named after Australian outlaw Ned Kelly. His story is wild—but why choose this outlaw as a namesake? Cody Braun: Honestly we didn’t know much about him when we chose the name for the band. After further research and a few years on the road the name and interesting character behind the name really came to fit the band and the music. SW: What was it like touring in a family band? CB: There was never a dull moment. Its not much different than touring with any band. Lots of shouting, whining, laughing, music and fun. SW: You used to live in Bend —your first show was even at Pasha’s in 1996. I found an old setlist from that show online. This was a few years before the release of your first album, “Millican.” Some of the songs made the album, some didn’t. CB: We met our drummer Jay Nazz at Pasha's!!! We used to go there and jam at open mic night when we could all sneak in with our fake IDs. Willy had his first 21st birthday party there when he was 18. Ha!!! Lots of great nights in that bar!! The first version of the band was called The Prairie Mutts. We spent about 9 months in Bend rehearsing and playing a few shows. I was washing dishes at McGraths Fish House to pay rent and the rest of the guys were picking up cans and bottles. We rehearsed 8-9 hrs a day for 9 months. After an unfortunate falling out with a couple of the Prairie Mutts we finished off our summer gigs and decided to change our name and try a new town. In Oct. 1996 we moved to Austin, TX and it has been our home base since then. SW: How’d your sound evolve in the first few years leading up to your first album? Willy Braun: We we’re listening to a lot of TX and country rock artists at the time, and that shaped our sound a lot. Guys like Steve Earle and Sun Volt and Grahm Parsons. We wanted to be a little different, but were’s exactly sure what that meant, so we just started playing together and let etc sound evolve on it’s own. Once we moved to Austin, we started playing 6-7 nights a week almost imidiatly and were going out to see shows constantly, and meeting lots of great musicians. Austin was incredibly inspiring at that time and at that age. We were young and just soaked it all up. The music kind of took care of itself. You get pretty tight pretty fast playing 4 hour gigs 7 days a week. SW: How has your sound changed over the past two decades? WB: We’ve definitely evolved into a band that can adapt to the situation we’re in, while staying true to what people liked about us in the first place. We’ve been playing a lot of theatre shows lately where we can tell some stories, and showcase our individual talents as well as our group dynamics. People have to actually listen in a situation like that and I think they’re surprised at the depth of what we do when there’s not 500 kids screaming and yelling while drinking beer… I mean, that’s fun too and we can still play the rock 'n’ roll show, but it’s nice to be able to dig a little deeper into the catalogue. The RK sound has evolved pretty naturally over the years. We’re at the point where we all pretty much know what the other guys are going to do before they do it so we can take some chances and let songs kinda do their thing sometimes. SW: The band was recently honored with a Humanitarian Award at Texas Regional Radio & Music Association’s annual TRRMA Awards. Congrats! Can you tell me a bit about how you give back to your community? CB: We hold and annual celebrity softball game and concert in Round Rock, TX and this will be our tenth year in a row! We have helped rebuild baseball fields for special needs kids and kids living in underprivileged area of Austin and the surrounding community. We have raised over $300,000 along with our partners the local AAA baseball team, The Round Rock Express. Check out Reckless Kelly’s Celebrity Softball Jam on Facebook! This years date is Sunday, September 23rd. SW: I saw that you recently played a show in Muleshoe, Texas with your brothers’ band Micky and the Motorcars. That had to have been fun! Do you collaborate on music projects at all, or do you keep your musical endeavors pretty separate? WB: We play with the Motorcars a lot and always look forward to those shows. We’ve gotten to be great friends with all the band members and of course Micky and Gary are our brothers so we all get along well and have a great time. We are two separate entities, but we help each other out a lot. Micky and Gary and I write a lot of songs together. I produced their last album and Cody and Dave have produced them in the past as well. We borrow each other’s gear and play on each there’s albums. We do a lot of jamming when we play together and if we have a whole tour we usually come up with a few songs to play together every night and a big all star finale. It's fun to have another band like that on the road that you can always count on having a good time with, on and off the stage. SW: Reckless Kelly released "Sunset Motel” in 2016... is there another album currently in the works that we should be expecting soon? WB: I’m writing a lot lately and have quite a few songs in the bag already. We’re most likely gong to get in to the studio again sometime early next year, but we haven’t got a timeline laid out yet. Hopefully we’ll have something new to release sometime in 2019.